Though the 996 GT2 holds the unofficial "widowmaker" title, no Porsche deserves the moniker more than the 917 (imagine wheel spin at speeds above 200 mph in a car with a flammable magnesium frame). 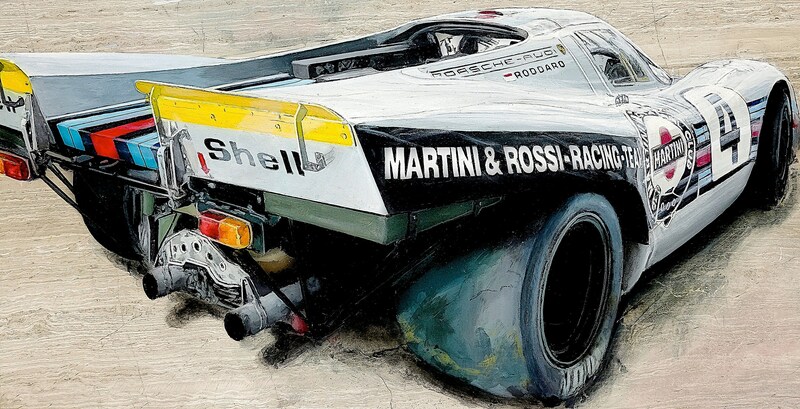 The 3rd painting in the series is the Martini 917, which is not only one of the most original 917s in existence (it was never raced), it's also one of the only 'street legal' 917s in the world. The original acrylic-and-ink on stone painting measures 24x12" (inquire if interested). 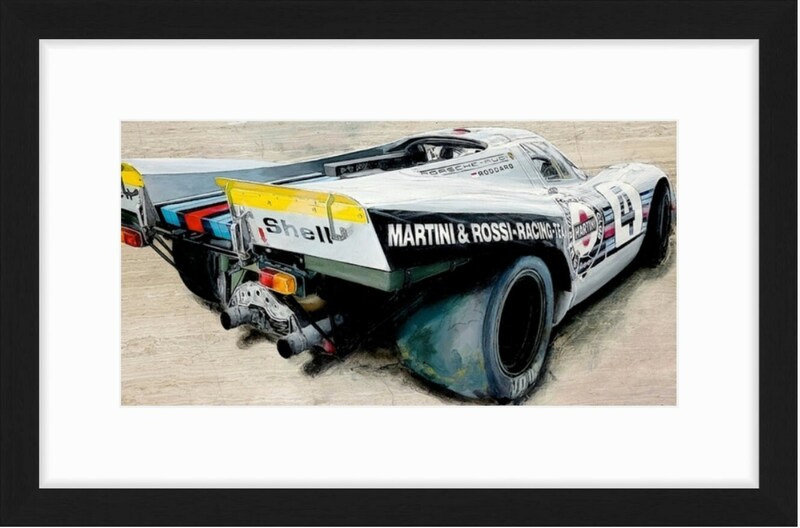 The "917 Collection" option includes all three 917 "Stone" Canvas Prints (Pink Pig, Martini 917 and Gulf 917), each measuring 34x17". 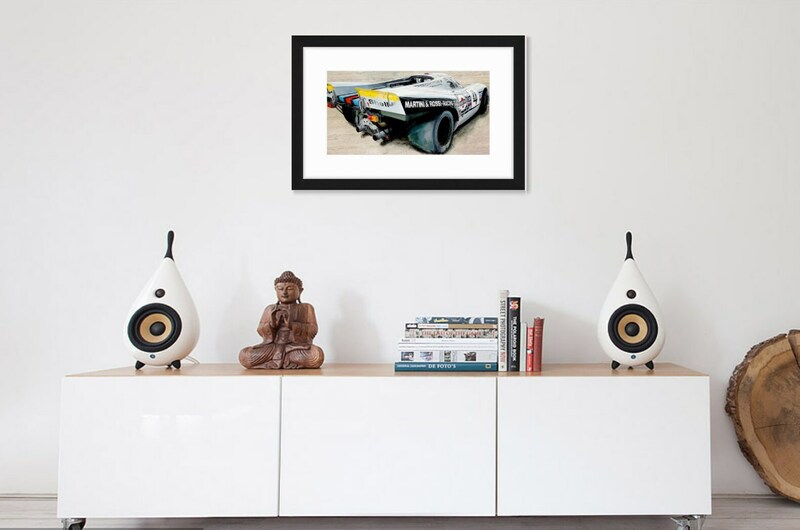 Each collection is individually signed and numbered. (All three prints numbered the same).